Cozy's secure online rent collection ensures you get paid on time without the hassle of paper checks. What's Cozy like for renters? You can set up online rent collection in just a few minutes. You’ll need your tenant’s email address and the details of the checking account where you’d like to accept payments. Once you've added a property to Cozy, visit the Payments section and click "Set Up Rent Collection." Here, you'll add details like the lease start date, your tenant's name and email, the rent amount and due date, whether you'd like to collect a security deposit or configure a late fee, and the checking account where you'd like to accept payments. In the last step, click "Confirm and Invite." 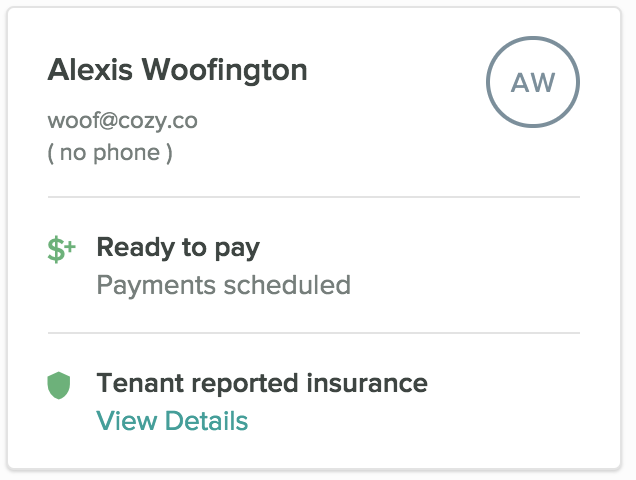 Cozy will email your tenant(s) and guide them through scheduling payments to you. It's easy for renters to set up payments. 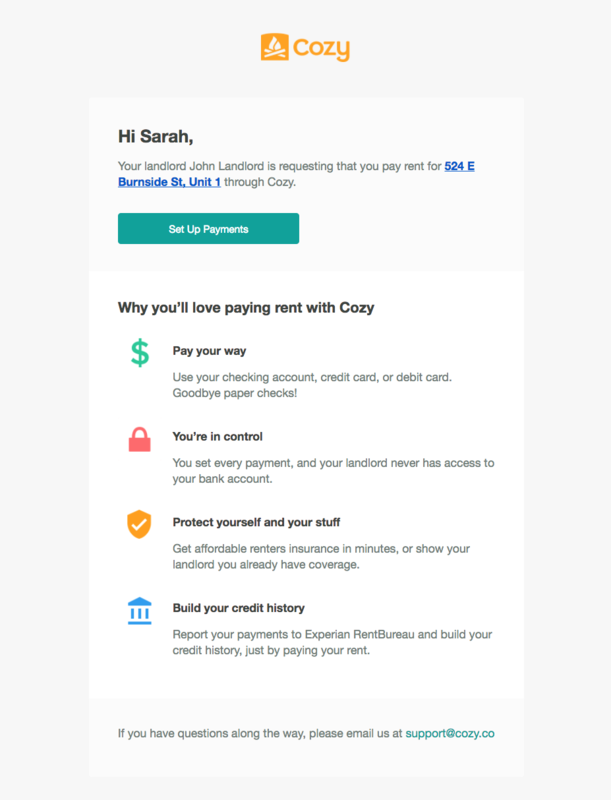 Your renter will receive an invitation email to pay you through Cozy. We'll walk them through these steps. Renters can pay for free with their checking account (ACH transfer), or with their credit or debit card for a 2.75% fee that they pay. Share this 1-page guide with your renters to introduce Cozy and answer commonly asked questions: Tenant welcome guide. If your renters have other questions, we're here to help through our Help Center and Support Team. After you've requested payment, check if your tenant is ready to pay from the Tenants tab of the ledger. Visit Payments from your main menu, and then click the address of the unit you'd like to check. From there, click the Tenants tab to see your tenant's setup status. 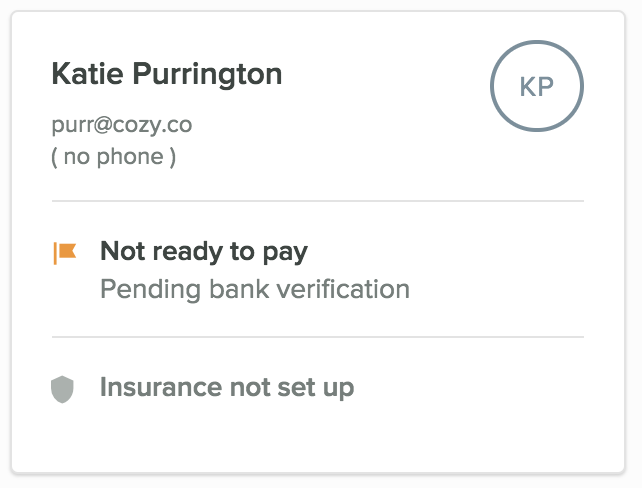 Here, Cozy will indicate if your tenant is "Ready to pay" or "Not ready to pay." A tenant is "Not ready to pay" if they haven't accepted your invitation to Cozy, or if they haven't verified their bank account. 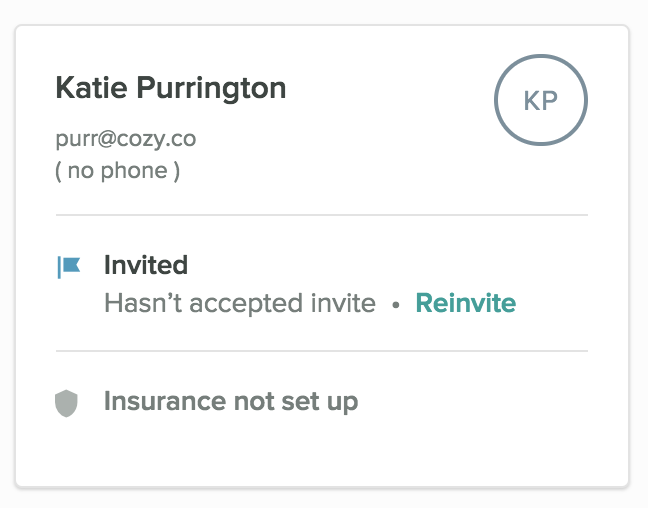 You can resend your tenant's invitation if they haven’t joined Cozy. And if your tenant can't find their invitation email, they can sign up for a renter account using the same email you invited them with. Your request for rent will be displayed in their account. Tenants paying with their checking account must verify the account before their payment is sent to you. Learn more about the verification process here. A tenant is "Ready to pay" when they have created their Cozy renter account and set up at least one payment method. Here is an example of a tenant who has added their payment method to Cozy, but has not scheduled payments. You can check the status of your tenant's payment from the Payments page. Visit Payments from your main menu, and then click "All Transactions" on the unit you'd like to review. At the top of your page, you'll see the Due Today balance. That number is a running total of what's been paid vs. what's owed in Cozy. The ledger will show both your charges (request for payment) and your tenant's payment. Bills: These are bills from the landlord. Bills inform tenants about how much they owe, and when their payments are due. Payments: these are actual transactions from your tenant. Payment means money will be sent (or has been sent already). In progress: Your renter's payment is currently being processed. You can click on a particular payment to expand it and view the estimated arrival date. This is the day we expect the payment to post to your bank account. Completed: Your renter's payment has begun depositing to your account. You should see it post within 1 business day of the payment being listed as Completed. See an example of the invite email we send tenants. You can set up automatic late fees and manually bill your tenant for fees. 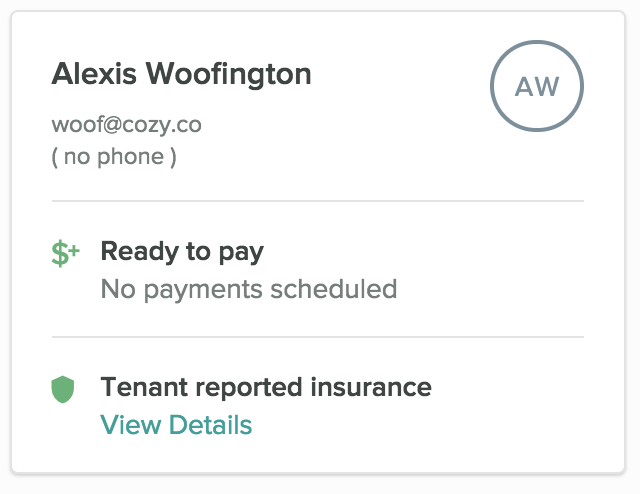 Cozy will send your tenant an email and guide them through setting up a payment to you. If your tenant pays you outside of Cozy, you can record that offline payment to balance the ledger. You can update the rent collection dates if a tenant renews their lease. You can get paid faster with Express Payouts.